Crowned White Walker From Last Week’s ‘Game of Thrones’ Was Once a Stark Named Bran? 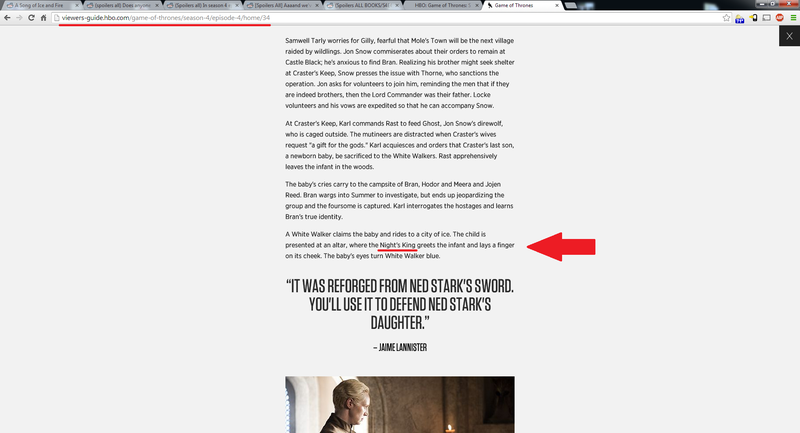 An HBO GO employee accidentally spoiled that baby-stealing white walker as being a legendary figure in Game of Thrones lore in a summary of the “Oathkeeper” episode, and his story is quite interesting. Known as the Night’s King in the books, the walker was once a Commander of the Night’s Watch, and according to Old Nan in a Storm of Swords, a former Stark who shared not only bloodlines with Bran, but also a name. 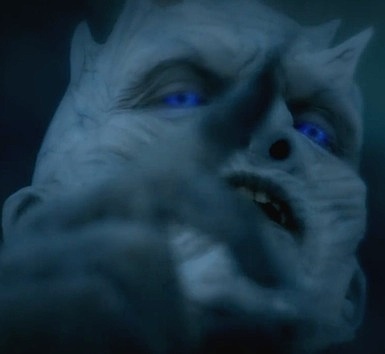 The Night’s King lost himself over a woman with ice-cold skin and bright blue eyes and was taken down by rulers of Westeros (including his own brother) after committing “horrific atrocities” that included sacrificing to the walkers.